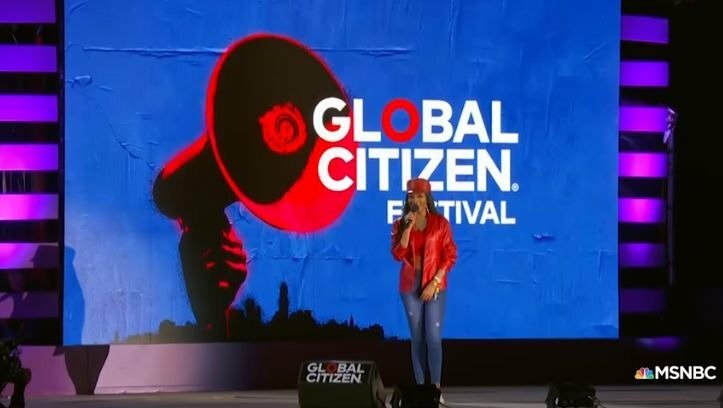 Pearl Thusi, Bonang Matheba, Nandi Madia, and more South African celebrities made an appearance at the Global Citizen Festival recently. The Global Citizen Festival in New York City featured a few familiar faces from South Africa. The festival, which is part of Global Citizen's campaign to end world poverty, saw stars like Cardi B, Shawn Mendes, The Weeknd, and Janelle Monáe performing. Among the star-studded guests were some of SA's biggest stars. Bonang Matheba, who will co-host the Global Citizen Festival in Johannesburg in December, took centre stage at Central Park. She introduced local singer, Sho Madjozi, who was one of the performers on the night. "Tonight to bring us a taste of what to look forward to in sunny South Africa this December, one of the most exciting voices on the rap scene today," Queen B told the audience. Beyonce, Jay-Z, Cassper Nyovest, D'banj, Usher, Pharrell Williams, Chris Martin, and Ed Sheeran will be performing at the Global Citizen Festival in SA. Days before the concert, Bonang moderated a discussion at the United Nations General Assembly. Some of the special guests at the discussion included UK Prime Minister Theresa May, France's President Emmanuel Macron, and Canadian Prime Minister Justin Trudeau. The Global Citizen Festival was the cherry on the top of an amazing week in New York for South Africa's media darling. "....last night in Central Park...the @glblctzn concert was tons of fun! Had the pleasure of being on stage... next stop, Johannesburg on December 2nd!!" she wrote on Instagram. Nandi Madida, Maps Maponyane, Nomzamo Mbatha, and Pearl Thusi were also in New York for Global Citizen events throughout last week.